Olivet Newsroom caught up with the Program Director of Olivet College of Information Technology William Wong to find out more about the College's current and future plans. NEWSROOM: What's happening at Olivet College of Information Technology (OCIT) these days? WONG: OCIT is preparing for academic year 2006-2007. Since we're expecting significant growth in our student population this year, many works are underway. NEWSROOM: Are there any developments on the staff side of OCIT? WONG: The central office has a new staff of administration experts with technical backgrounds. These skills will greatly be needed for the upcoming school year as professors and staff come together to assess and restructure the IT curriculum. The staff will work closely with the professors to address the college's and student's needs. NEWSROOM: Students want to know if they can expect changes to the My Olivet system – can you tell us? 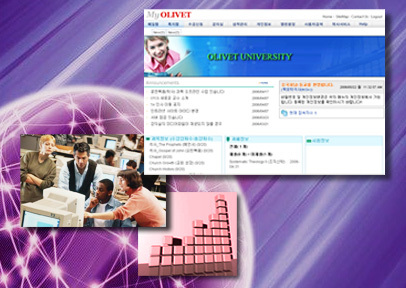 WONG: The R&D department is currently in the process of developing the second version of MyOlivet, which is the central online administration system at Olivet University. We're paying special attention to usability, portability, and expandability from a modular approach. The hoped-for result is a system with improved efficiency and flexibility when it comes to adding new features. We're building the next generation for educational software at Olivet.